Super Spins Casino - Claim Your Exclusive New Welcome Bonus Today! Super Spins is a brand new outfit that is a part of the UK-based operator called 8Ball Limited. Although Super Spins has been around since 2015, the platform is witnessing a new era. Super Spins provides a fantastic environment where players can enjoy their favourite section of games. For a fresh start, Super Spins kicks off with about 500 games. At this point, it is not just about the number of games in their library that matters alone. However, the quality of the selection is quite classy. Super Spins offers a massive selection of some popular titles from top rated developers. At Super Spins, you will find a lot of games from NetEnt; Blueprint Gaming; Lightening Box; Microgaming and several other titles. Also, there are plenty of payment methods and the payment process is really fast. Even more, there are a number of other perks that players would enjoy. Super Spins enjoys full coverage from multiple license holders either directly or remotely. To start with, Super Spins enjoys a UK license following that it is operated by 8Ball Games Limited. Furthermore, following its affiliation with Aspire Global and AG communications, Super Spins also enjoys the coverage by the MGA. That being said, there is no doubt that other features like security and fair gaming must be in place. As expected, Super Spins keep the mind of players at easy by using the latest encryption tools to mask its website. As well, all the games follow a strict Random Number Generator that is monitored by the UKGC and the MGA. So, if you are looking for a safe place to enjoy fair gaming, welcome to Super Spins. It’s simple and easy. Sign up, verify your account and make your first deposit. Once the deposit is verified, you will instantly receive twice the deposit amount up to £200. As long as your first deposit is up to £20, you will receive an instant bonus. However, players who deposit less than the minimum amount will not receive any welcome bonus. Also, the first deposit bonus includes 20 extra spins. The subsequent second and third deposit offers an extra 40 spins respectively. This makes it a total of 100 extra spins. Sounds fair even though it is not good enough. To wrap up the offer, the bad news is the wagering requirements. Players who enjoy the welcome bonus must have to play it through a minimum of 35 times before requesting for any payout. Even more, you have only 21 days to meet the requirements or lose the bonus. Interestingly, it means that every new player falls into the first tier as a new member of the VIP club. However, you’ll need to gather VIP points to find your way to prestige VIP. Making deposit has never been an issue in most online casinos except for limited options. However, it’s a lot different for withdrawals. Players need variety, speed, convenience, and security. Fortunately, Super Spins offers all of them in one place. Just find your way to the payment section and you’d find a long list of payment alternatives to chose from. Examples include Neteller; Visa; Maestro; Trustly; Entropay; Sofort Banking; Skrill; Bank Transfer; Paysafecard and many more. Super Spins care so much about the players. Hence, they have put together a channel of communication that would make it easier for players to always get in touch with the support team. Firstly, there is a live chat that is almost always available, 7 days of the week. Also, there is a contact email where players can also send their enquiries. Generally, the team is highly trained to provide timely solutions and answers. 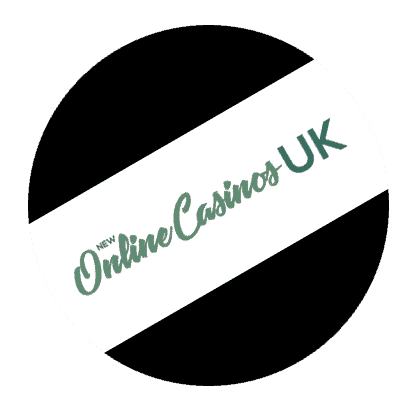 There is no such thing as a perfect online casino. Hence, Super Spins is not a perfect place to play. However, it is a great place to enjoy quality entertainment.